No deposit is required to hire this holiday home but we ask if we can receive your full payment 3 weeks before your arrival. We accept a short notice booking but we will require your full payment within 2 or 3 days which would normally be made by a bank transfer. If we are unable to answer a telephone booking enquiry in the day please try after 6.00 pm or you can send us a email which we check every evening. Heading into the 5th year of hiring this holiday home out we have learnt the visitors are the kind who enjoy walking , photography, fishing, fossil hunting, beach walks and our local unique fishing villages and quite importantly a quiet site. 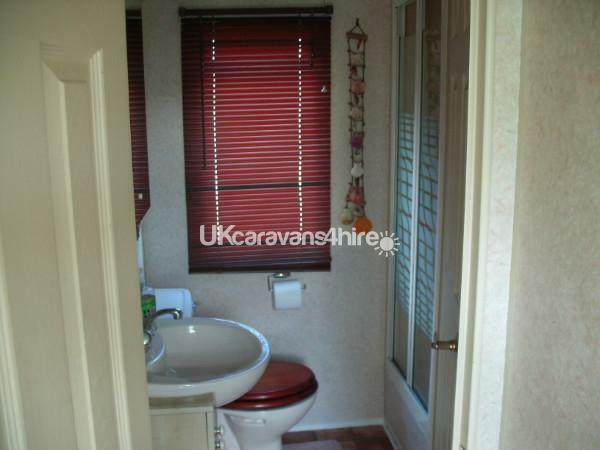 Our visitors have mentioned repeatedly in our visitor book that the caravan was homely and well equipped and well situated in the hidden quiet corner of the village. 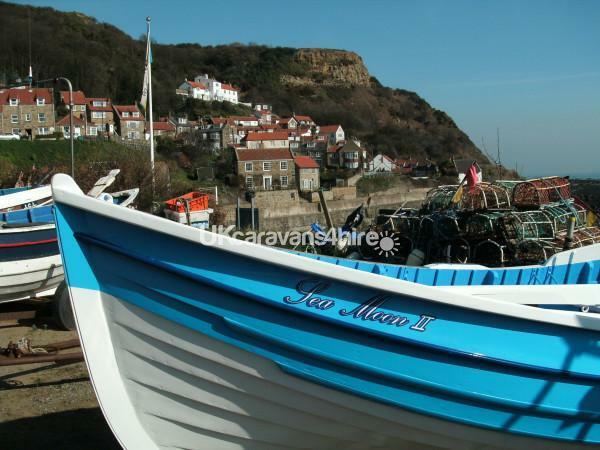 Our photographs on this web page show the fishing villages of Staithes and Runswick Bay which are only a mile away by road or you can take a cliff top walk to them. 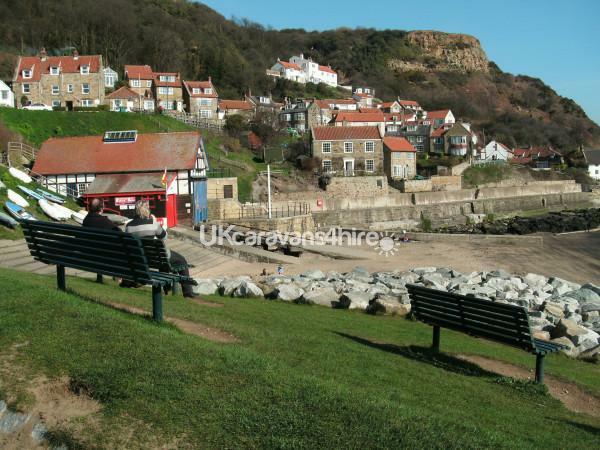 Runswick Bay has been a real favourite for those who bring there dog(s) as the beach offers a great space for your dog to run free. A local tide table book is provided for our visitors to let them know when the high and low tide is. We have made it hassle free upon your arrival. You will find the key there for you, your beds made up and tea, coffee, biscuits and juices to await you. Historical Whitby town is 8 miles away and the town now offers a Park and ride. 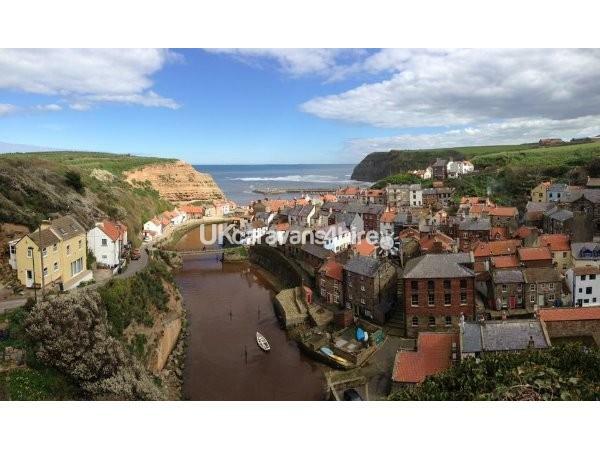 4 miles further south of Whitby is the old smugglers / fishing village of Robin Hood bay. The outside garden which includes a seating and table area gives our guests privacy and also allows your pet a secure space outside. We have also provided local maps and some very useful information to get your holiday started quickly. 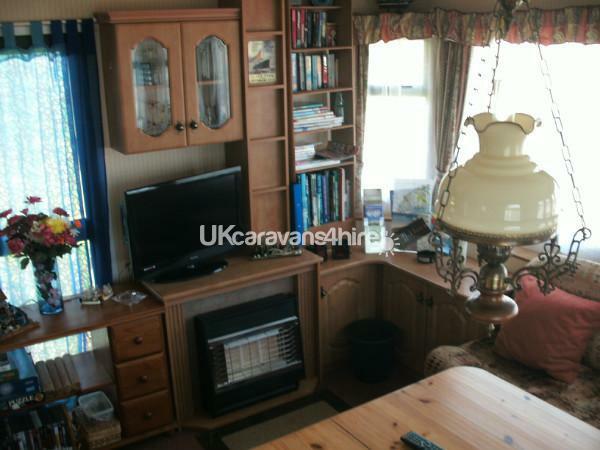 TV / DVD player in the main bedroom and living area / All the cooking utensils you will need / a large collection of books for all tastes. Electric blanket fitted and hot water bottles provided. 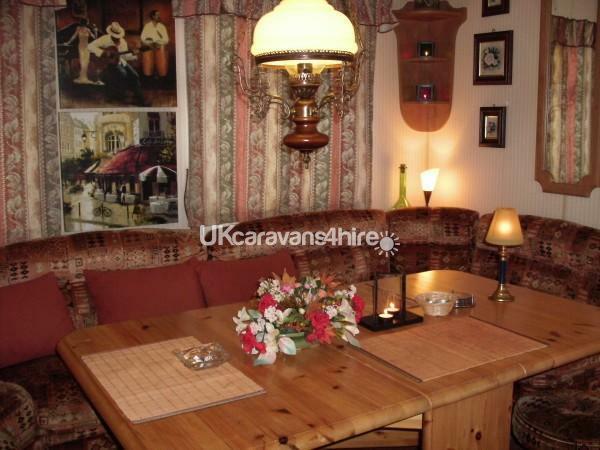 The large pine dining table can fold down giving you more floor space if needed. After just returning from a brilliant holiday here I wanted to say what a perfectly situated caravan in such a peaceful setting. We walked with the 2 dogs on the coastal paths for miles which were all in easy reach from the caravan. 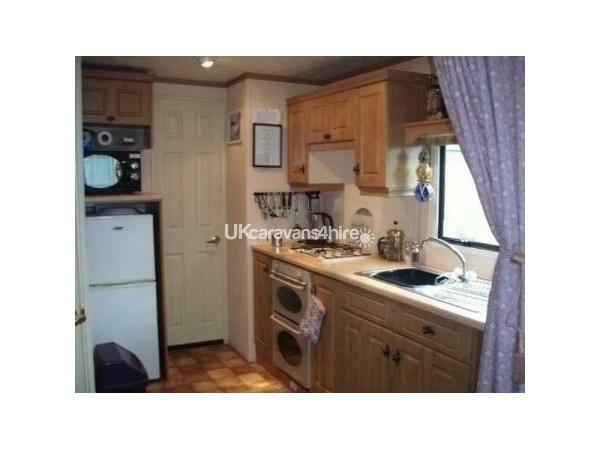 And returning to a homely caravan made it all worth while. Will definitely be returning. Just what the doctor ordered, a bit of R&R. Thank You. 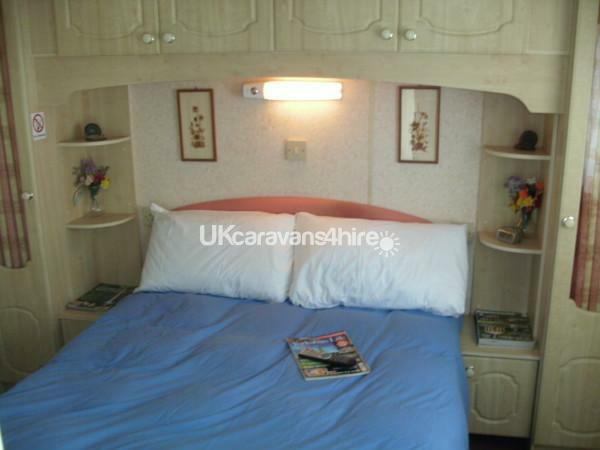 A wonderful relaxing stay at the "Time Out" caravan. Everything provided on our arrival, tea coffee, sugar as well as lots of little thoughtful extras. 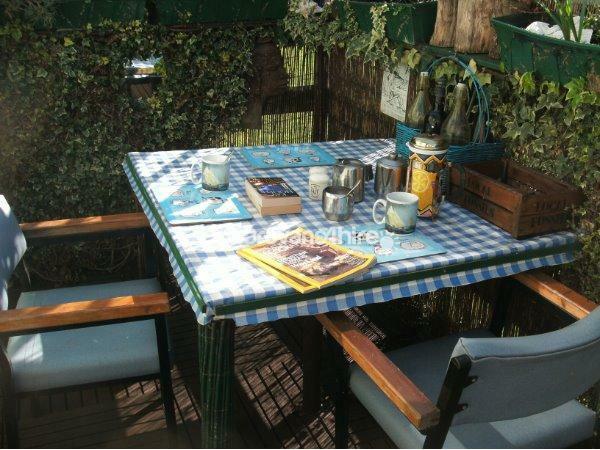 Quirky little attached garden and a peaceful dog friendly site. Perfect location for nearby beaches and towns. Lots of dog welcome pubs and cafes where a hot meal can be enjoyed. Thank you for providing such a great place to stay Simon, we would love to come back. We enjoyed a great week here. 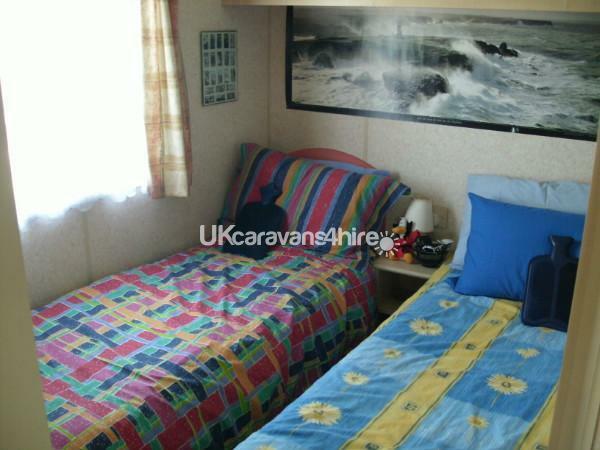 The caravan had everything we needed and more, and the tray of tea, coffee, juice, biscuits and the pint of milk, also the electric blanket, [which I have never found in the many caravans we have stayed in over the years] was very much appreciated. Thank you. Thank you Jean for visiting the area. Regards. Simon. 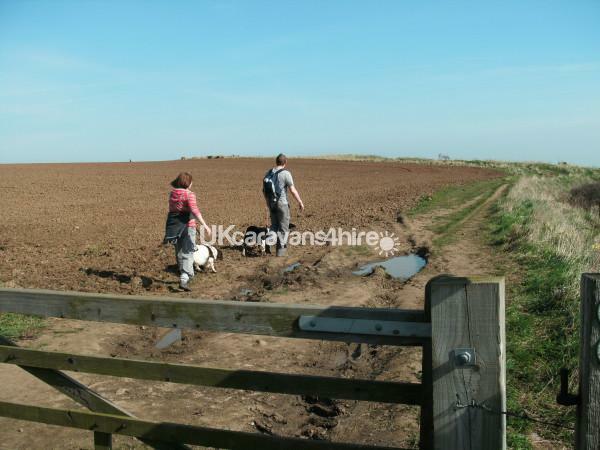 We had a short stay at Time Out,with my dogs,the caravan was so comfortable and relaxing,you could tell a lot of care and time had been spent inside and outside,the location was perfect for walking and exploring,this was our first stay but hopefully not our last. I enjoyed a very peaceful week here. It was a perfect base to unwind and see some beautiful local sights. Some great walks nearby are well worth a mention. Caravan had everything I needed. A lovely welcome tray of tea, coffee, juice and biscuits added a very thoughtful touch after a long journey. Thank you. Thank you very much. You are both most welcome.